The 2 main manufacturers of brakes in the UK, these are Knott and Al-Ko. There are 2 other manufacturers which are used in the UK; these are Bradley and BPW (BPW fitted to Graham Edwards Trailers). This guide will help you to indentify Knott and Al-Ko Brakes. Number 1 Is the Adjuster which is a Hexagon shape on Knott Brakes. It is positioned directly opposite where the brake cable enters. It fits a 17mm spanner on 160mm, 200mm, and 203mm brakes. On 250mm Brakes the adjuster is 19mm. Please note this is the same as a Bradley and old peak Brake, but these are not very common. Number 2 The Cable Cover Plate is unique to Knott as there is a ‘V’ stamped on the plate. The diameter of the end is 18mm and accepts a cable where the outside of the cup is 22mm. This plate is the same on all sizes of Knott brakes. See image below. 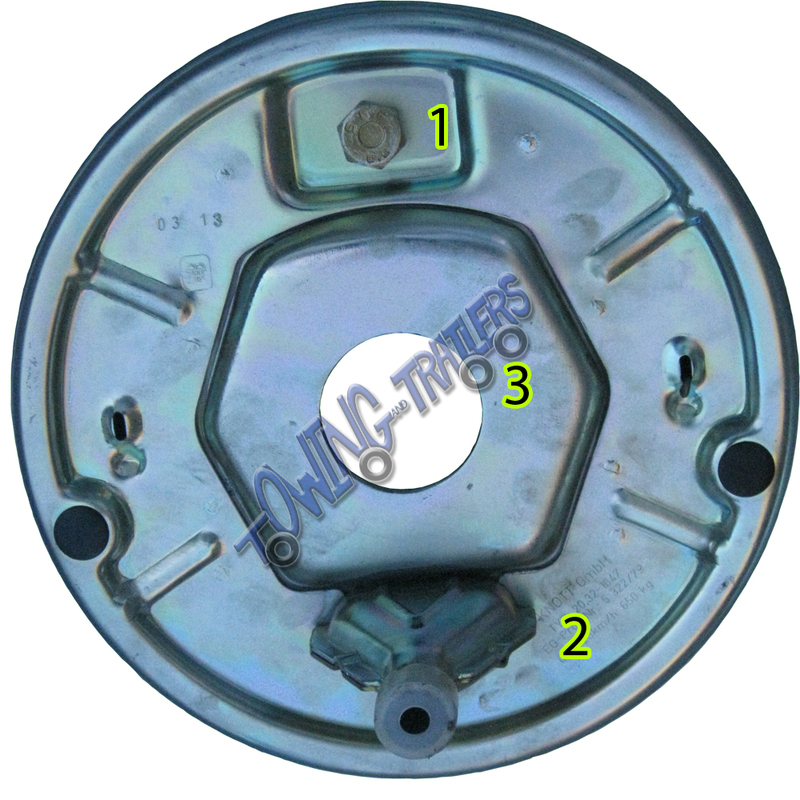 Number 3 The hexagon shape and the forming of the back plate can vary please do not use this to identify your brakes. Number 1 The Brake Shoes are on a slipper with 2 springs and are mounted in their own carrier. 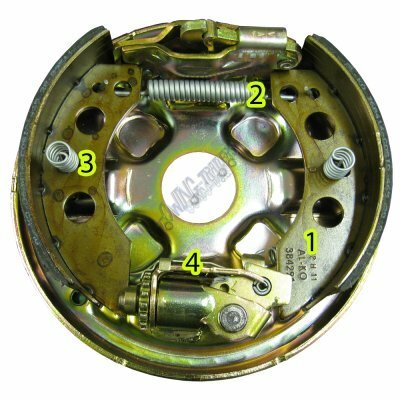 This shows the reverse mechanism on the brake which attaches to the shoe. Number 2 The Adjuster is a small wedge shape and is positioned directly opposite where the brake cable enters. 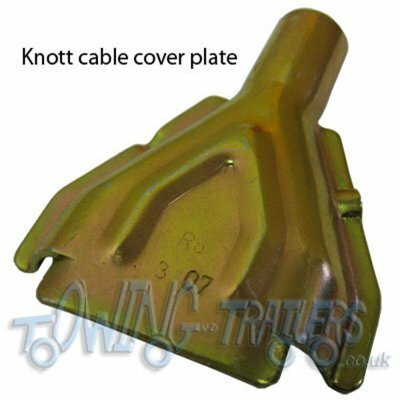 Number 4 You can see that ‘Knott’ has been stamped on the brake shoe making it extremely easy to identify your trailer brake. This only appears on genuine Knott brakes. < a>Number 1 The Adjuster on an Al-Ko Brake is very different from that of a Knott Brake. 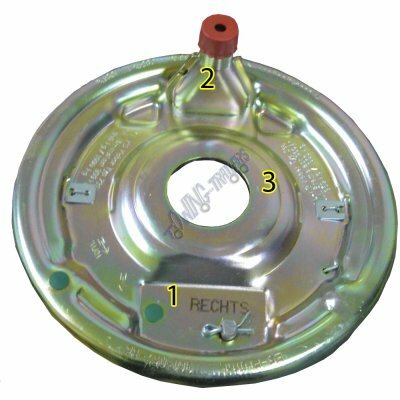 The green circular caps are removed to enable brake adjustment. Number 3 The raised circular shape on this brake should not be used for identification purposes as the shape can vary for each different brake. 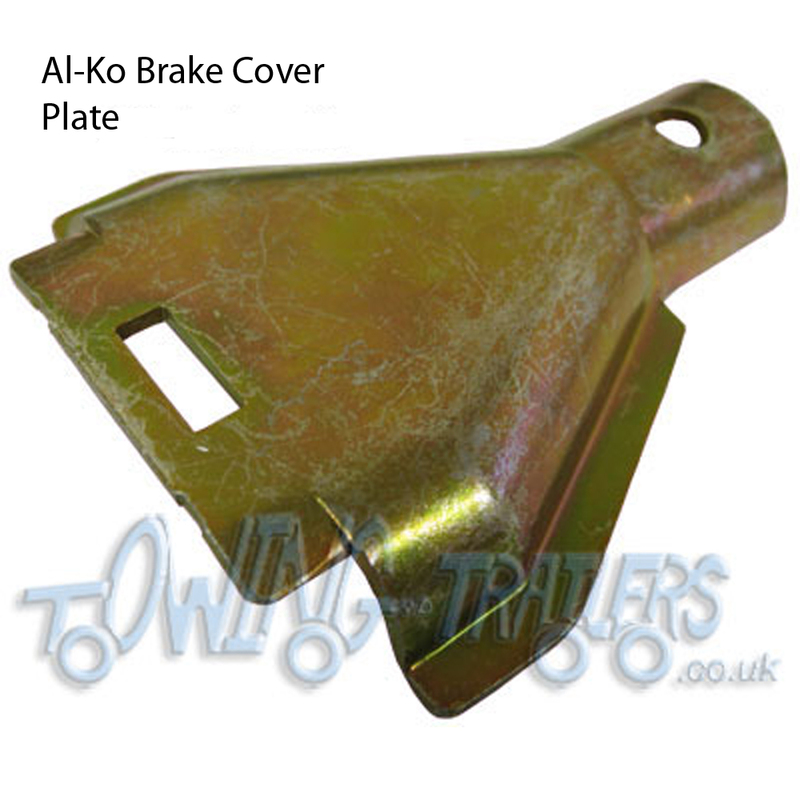 < a>Number 1 Showing ‘Al-Ko’ has been stamped on the brake shoe which makes it very easy for you to identify your brake shoe. Be aware that only Genuine Al-Ko brakes have this stamp, copies will not. Number 2 There is only 1 shoe tensioning spring. This is placed between the expander and holds both shoes together. This is different to Knott as the shoe tensioning spring is placed outside of the expander. Number 3 Shows that there are Retaining Springs on both shoes whereas on Knott there is only 1. 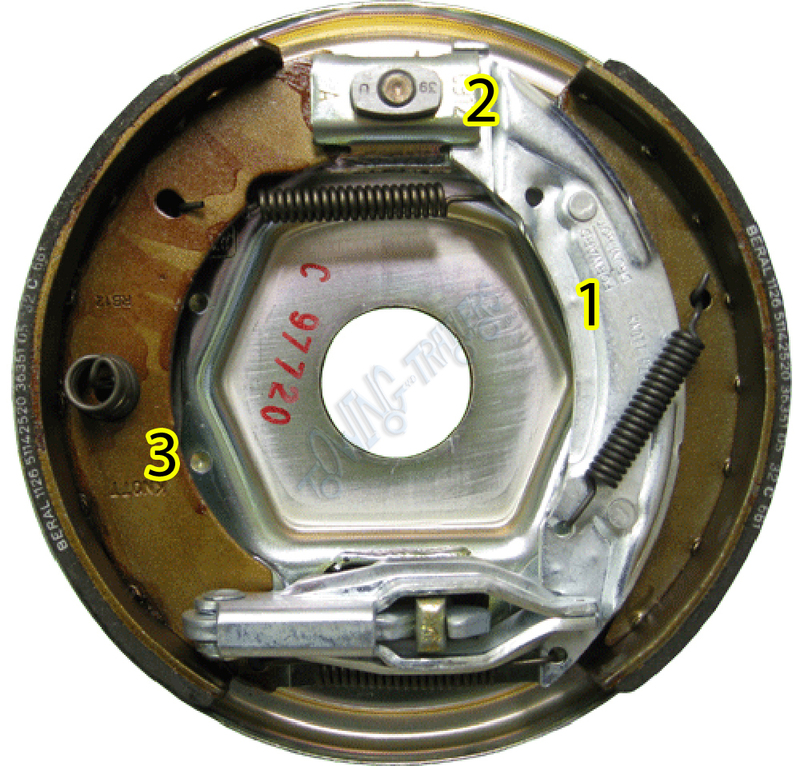 Number 4 Is showing that the Al-Ko Brake has a CAM operated auto reverse mechanism. 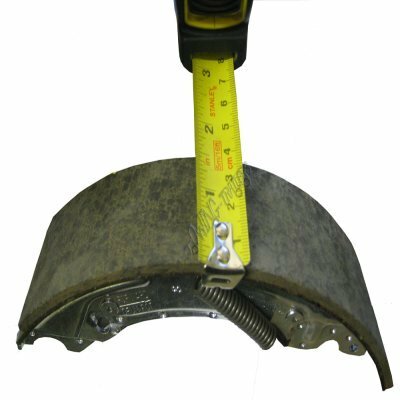 < a>To measure a Brake Shoe You simply take a tape measure and place it across the face of the shoe. This gives you the measurement for the width of the shoe and is extremely helpful to know when purchasing your Brake Shoes. 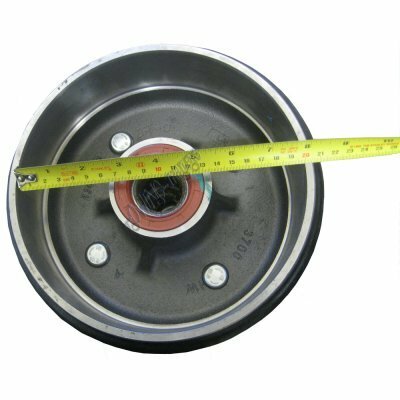 < a>To measure a Brake Drum You need to place a tape measure along the inside of the brake drum. This gives you your internal diameter and helps determine which brake it is you need.